We have developed a bioinformatics pipeline for the comparative evolutionary analysis of Ensembl genomes, and have used it to analyse the introns of the five available teleost fish genomes. We show our pipeline to be a powerful tool for revealing variation between genomes that may otherwise be overlooked with simple summary statistics. 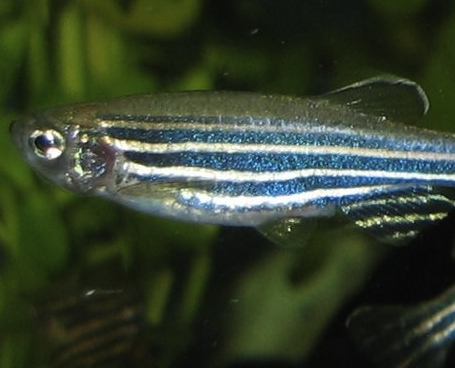 We identify that the zebrafish, Danio rerio, has an unusual distribution of intron sizes, with a greater number of larger introns in general and a notable peak in the frequency of introns of ∼500 bp to 2,000 bp compared to the monotonically decreasing frequency distributions of the other fish. We determine that 47% of Danio rerio introns are composed of repetitive sequences, although the remainder, over 331 Mb, is not. Since repetitive elements may be the origin of the majority of all non-coding DNA, it is likely that the remaining Danio rerio intronic sequence has an ancient repetitive origin and has since accumulated so many mutations that it can no longer be recognised as such. To study such an ancient expansion of repeats in the Danio lineage will require further comparative analysis of fish genomes incorporating a broader distribution of teleost lineages.